Tickets to Barrel Select Party at Gypsy Bar: Gypsy Bar hand selected a small batch of Patron tequila. Uniquely blended and aged in a specific barrel, this authentically exclusive, artisanal batch of Patron Anejo is never again to be replicated exactly. Only at Borgata can you taste Gypsy’s limited Barrel select Patron. As we wind down the last of the bottles made from this barrel, we are inviting you and your Dad to join us for an exclusive tasting party on July 21. Tickets are available here. Tickets to Jeff Dunham, Jerry Seinfeld, or Impractical Jokers: It’s our 15th Birthday this summer, and we’ve got the hottest talent in Atlantic City joining us. Treat dad to a pair of tickets to all-star ventriloquist Jeff Dunham, legendary comedian Jerry Seinfeld, or to the LOL funny gang from Impractical Jokers. With show times all summer long, there’s bound to be a great Father’s Day fit. A Signature Shave at the Barbershop: Our Signature Shave at The Barbershop includes everything to make Dad’s face as smooth as the day he was born. Exfoliation, toning, pre-shave oil, hot towel treatment, light facial massage, re-hydrating mask and moisturizers are all incorporated into this treat for your father. Plus, Dad will feel right at home at this monument to masculinity which offers everything from executive manicures, pedicures, professional haircuts, and shaves with a real straight razor. 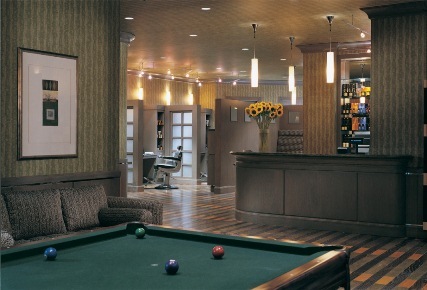 And of course, billiards and wide-screen sports. A Summer Outfit from Hugo Boss: The menswear collections of the BOSS Black and BOSS Orange lines at our Hugo Boss shop at The Water Club offers versatile fashion ranges with a rich array of elegant, modern classics in business, leisure and formal wear. They’re perfect looks that satisfy the most sophisticated Dad. As a bonus, discover the Summer of Ease Collection by HUGO BOSS, where ease and lightness go hand-in-hand with sartorial style. For the Impossible Dad: Don’t know what to get Dad after all of these great options? Why not opt for a Borgata Gift Card? He can use his new gift anywhere on property, making it the most veristile (and easy) gift to purchase your Pops.